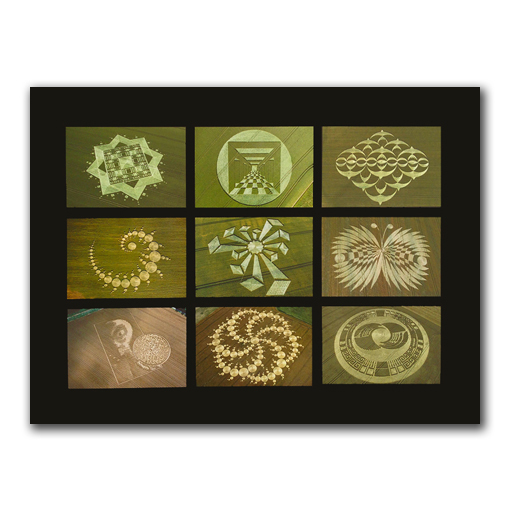 A collection of five colourful cards featuring the much admired crop circle artwork of Karen Alexander. 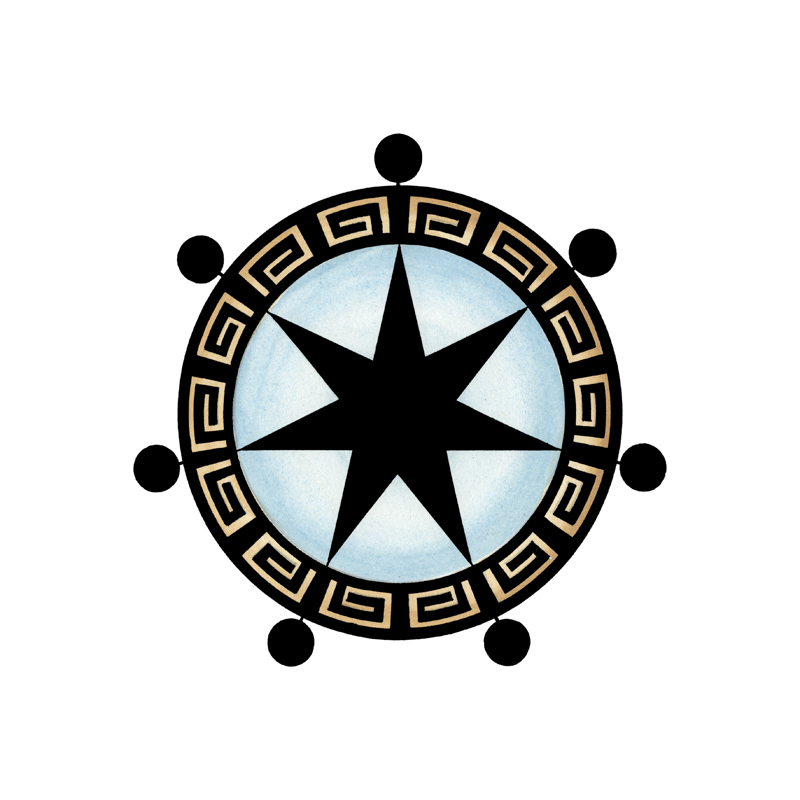 Taken from the original watercolour and ink paintings, which were all paintsakingly hand drawn using compass and straight-edge. 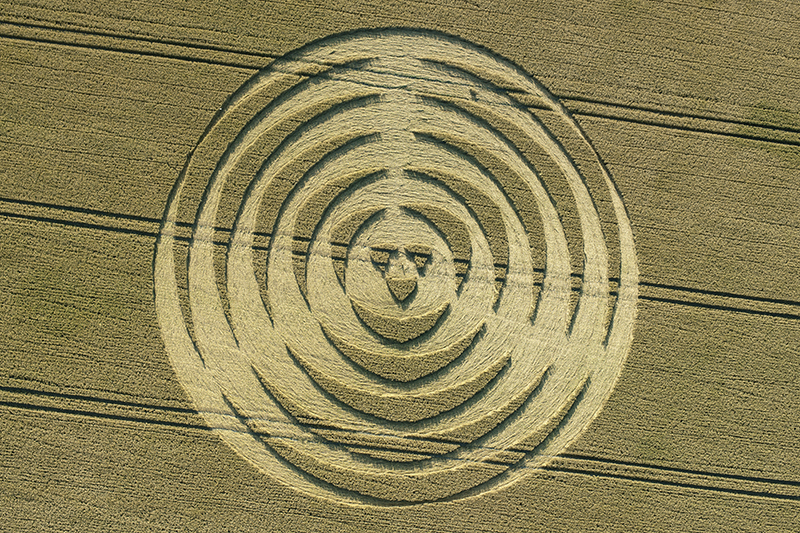 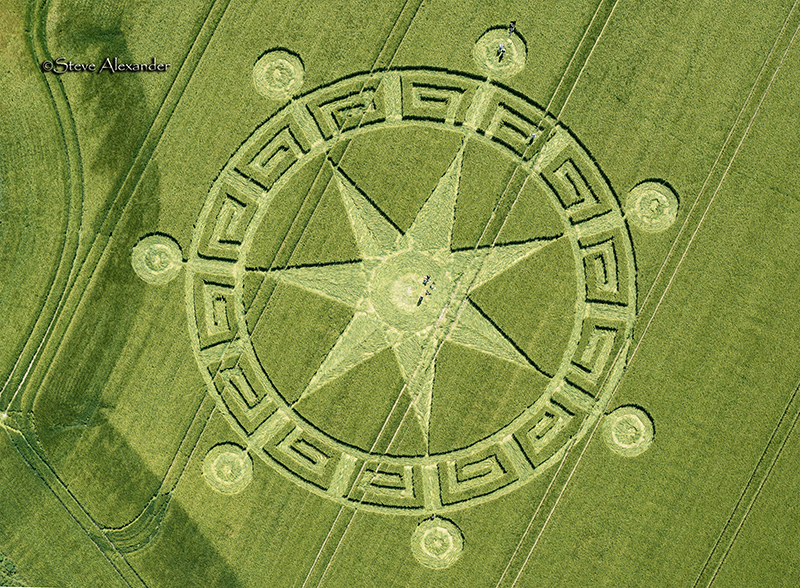 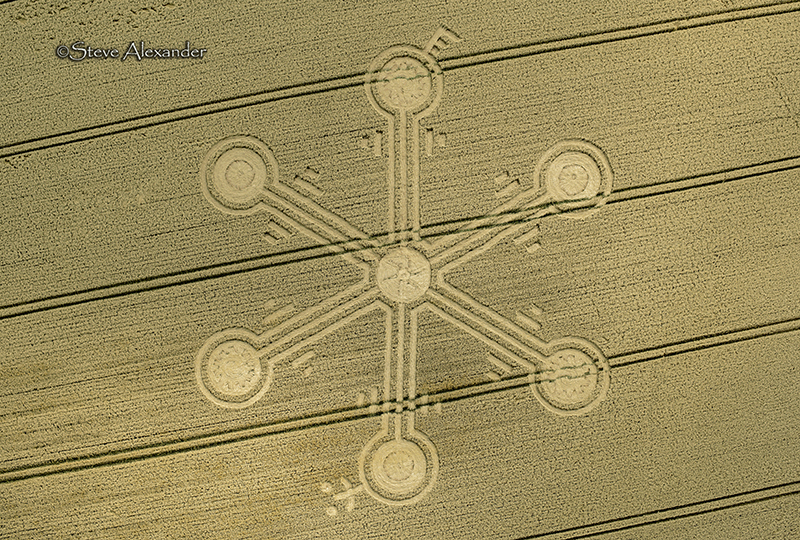 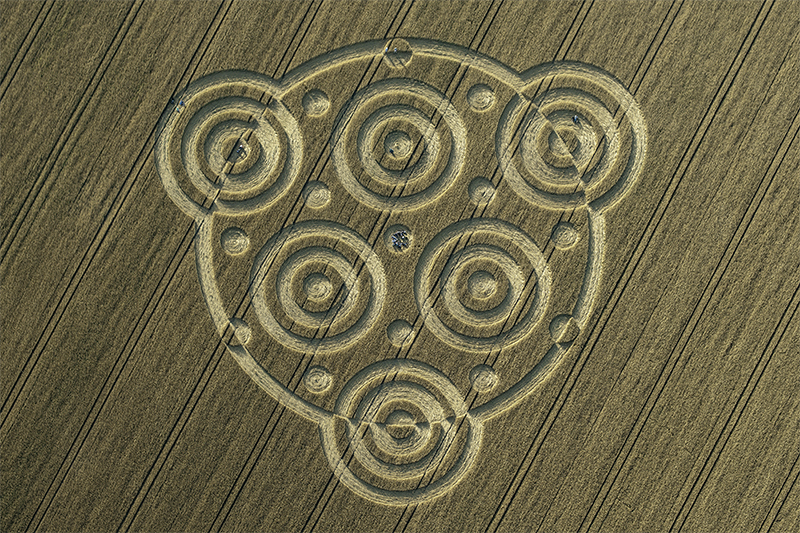 This set features a collection of crop circles from the 2018 season. 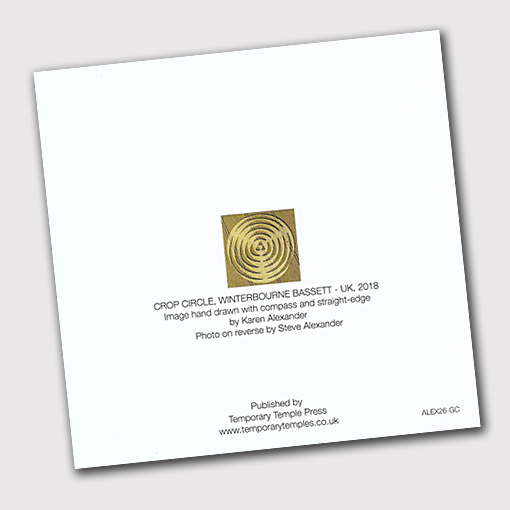 The location and year of the featured formation is detailed on the back of each card with a small photo of the circle by Steve Alexander (& Nils Kenneth Fordal) – the inside is left blank for your own message. 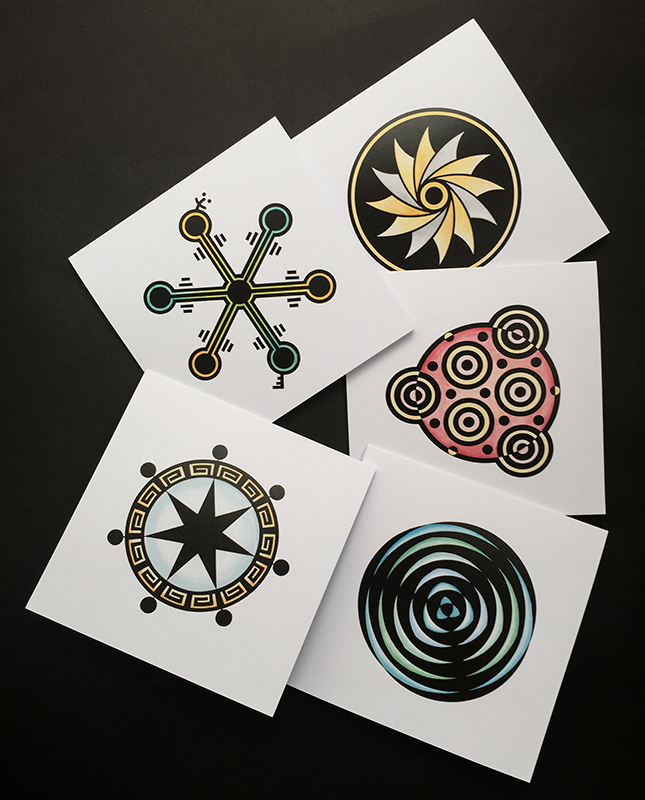 NOTE: This is a small limited print run, so please order before they’re gone! 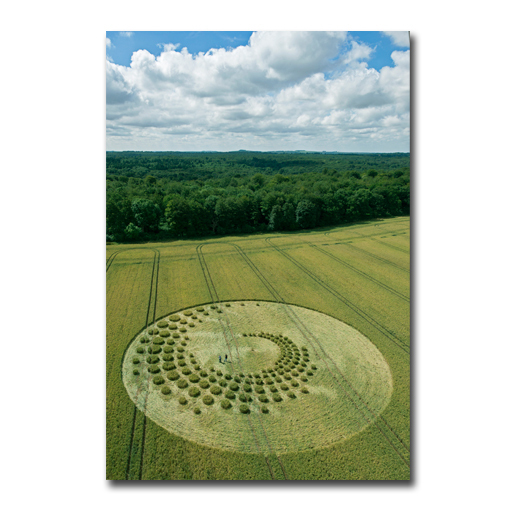 Greetings Cards/Notelets Set 2018: We are pleased to offer a set of greetings cards featuring crop circles designs from the 2018 season. 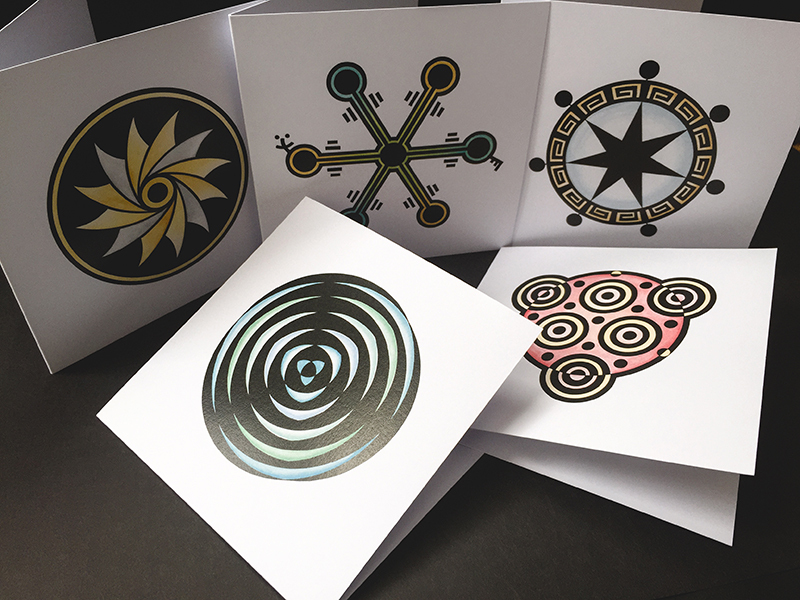 If you’re a fan of Karen’s paintings then these cards are a treat! 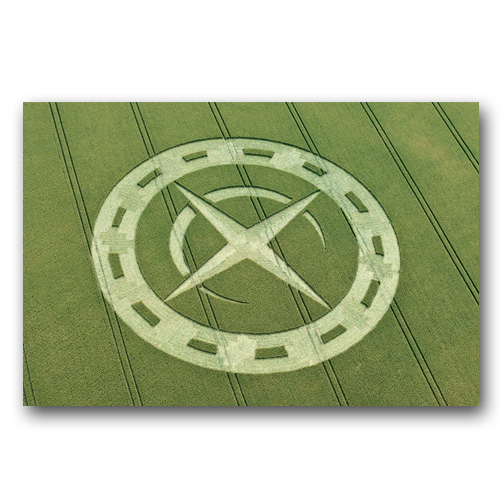 A collection of five colourful cards featuring the much admired crop circle paintings of Karen Alexander. 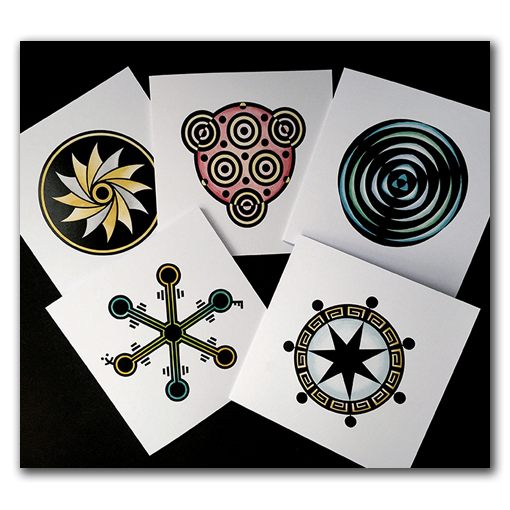 Taken from the original watercolour and ink paintings, which were all hand drawn using compass and straight-edge. 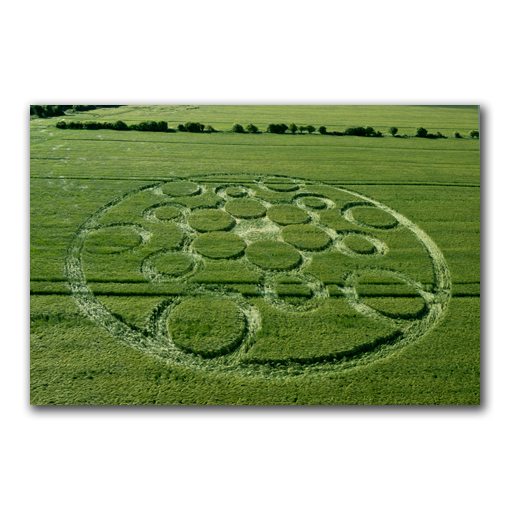 The set features a collection of crop circles from the 2018 season. 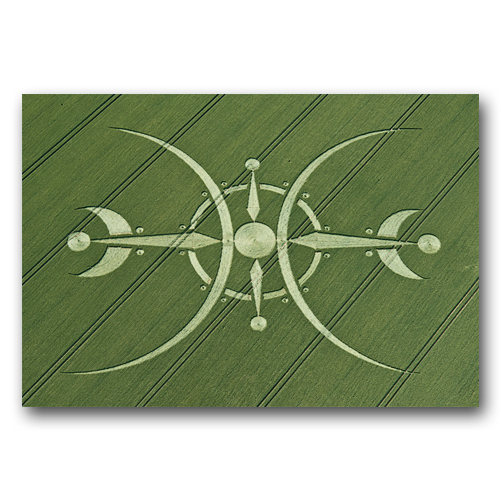 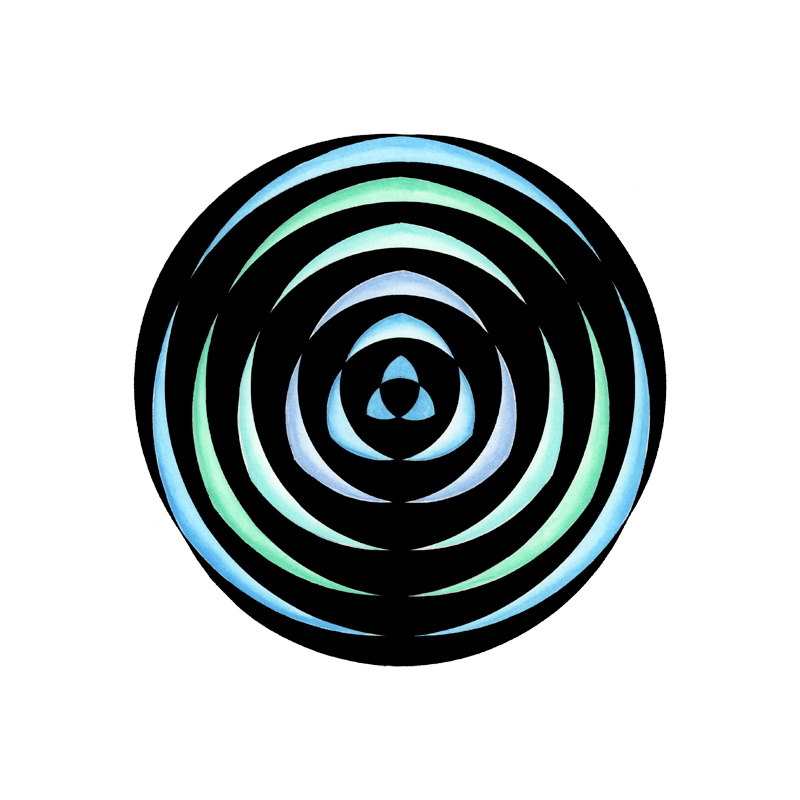 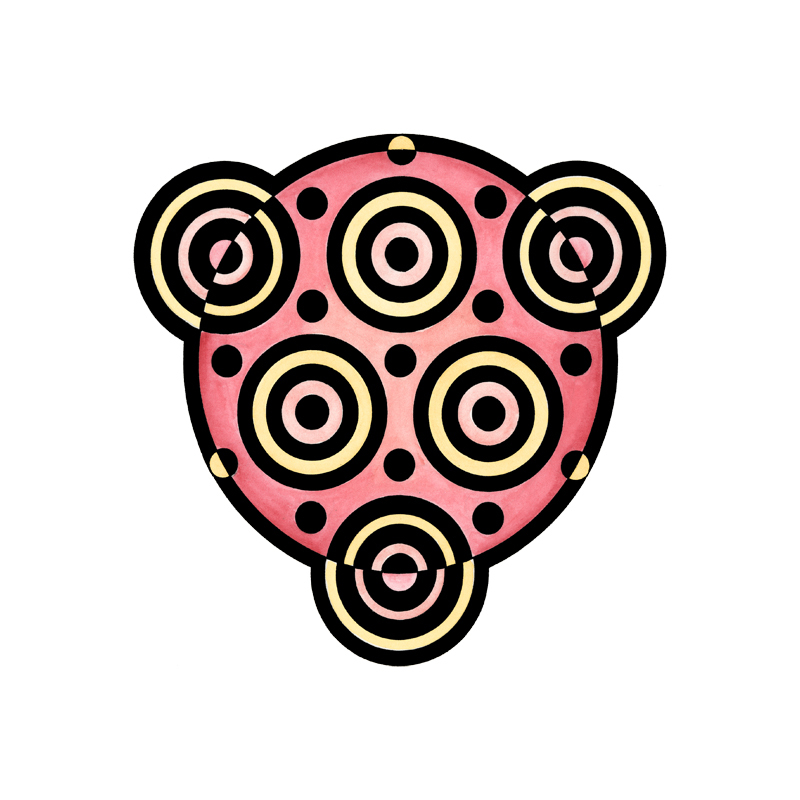 The location and year of the featured formation is detailed on the back of each card with a small photo of the circle by Steve Alexander & Nils Kenneth Fordal – the inside is left blank for your own message. 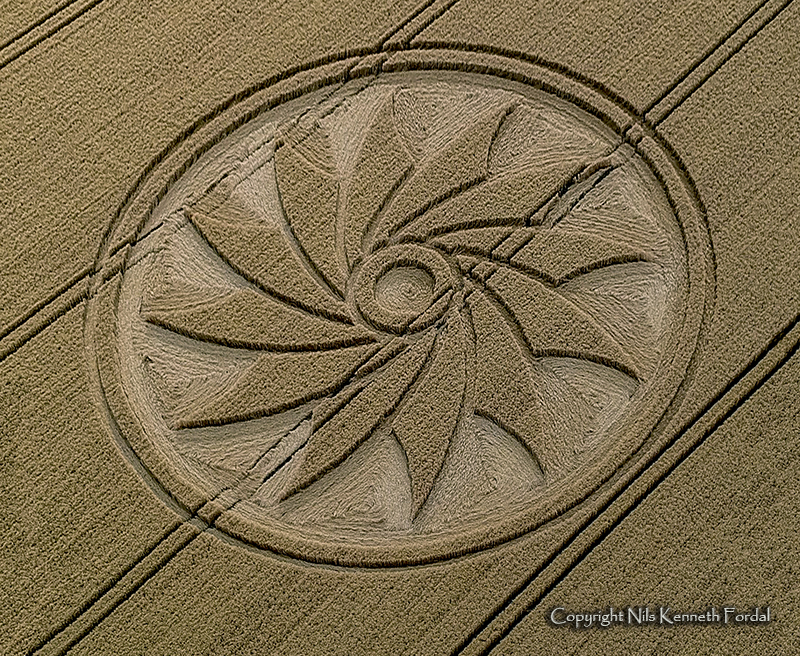 Important – Please Read: These paintings are drawn directly from the crop circles as they appeared in the field – and from no other source. 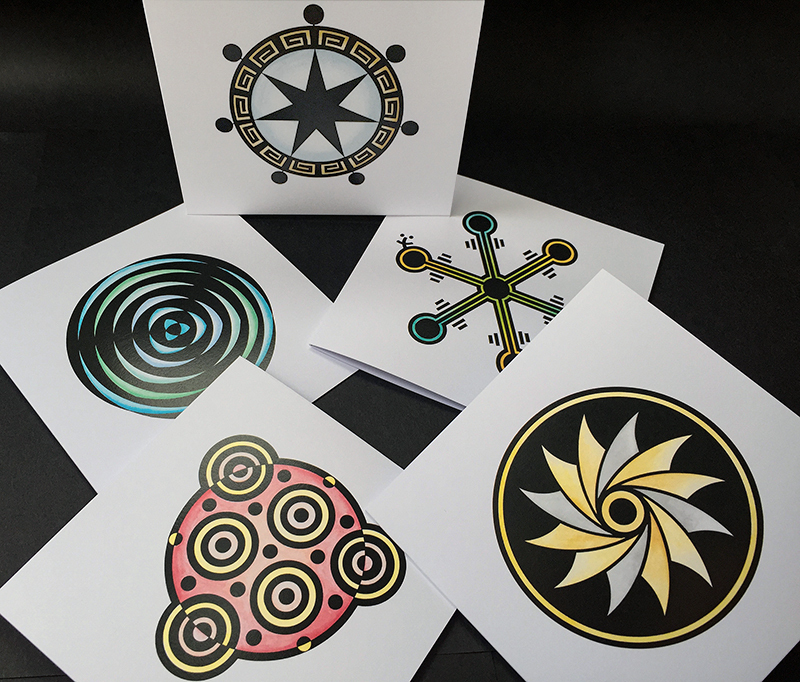 We do not own or claim the copyright for the design itself, only the specific painted versions shown on the cards. 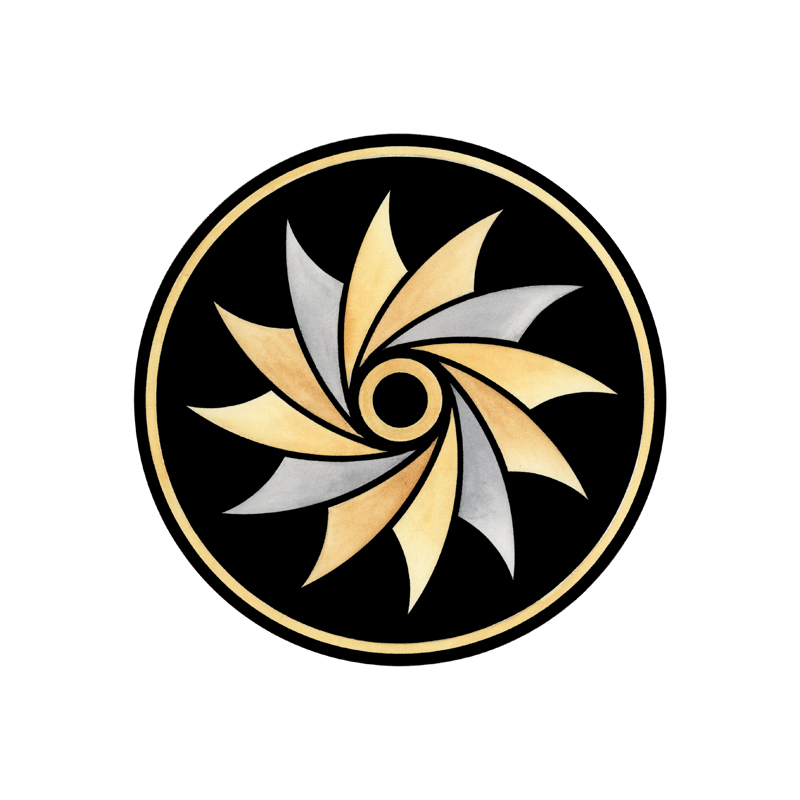 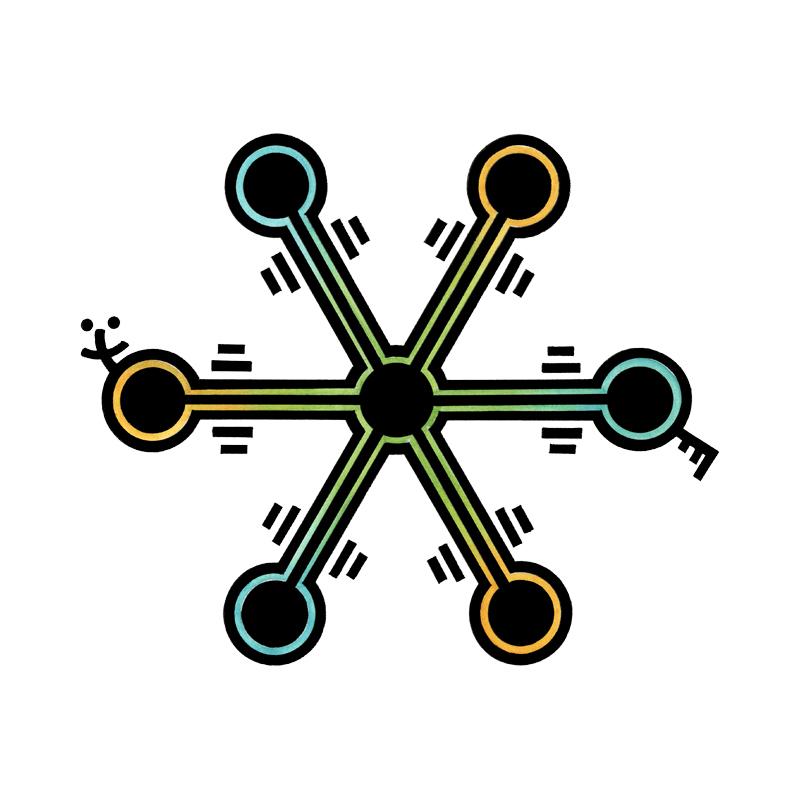 For more information about copyright see the About Our Website section of the website.